Please register at Dream's website. Walk-ins allowed. Please register at Dream's website. Come experience an evening of tranquil relaxation and sound frequency immersion. 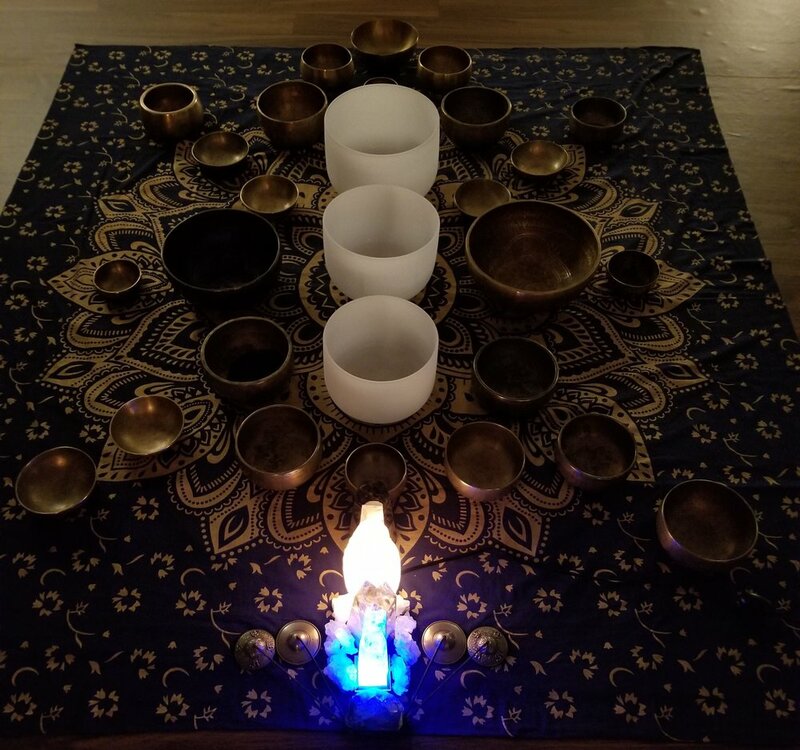 East Meets West yoga instructor, Bethany Wengren will guide students through a 1-hour Yin Yoga practice accompanied by antique Tibetan Singing Bowls, followed by a Sound Bath Meditation sponsored by Human Activation. Featured in recent Washington Post and WTOP articles in the Wellness section as the leaders in modern mindful meditation, Human Activation's team of certified, trained professionals have been serving the tri-state area for the past decade. They share ancient singing bowls in workplaces, yoga studios, and schools to provide rapid relaxationand recalibration for a refreshing reboot in our modern stressful world. Proceeds go to support the Crystal Ashram 501(c)(3) non-profit where the Human Activation School of Expanded Consciousness will be held. http://humanactivation.com/. 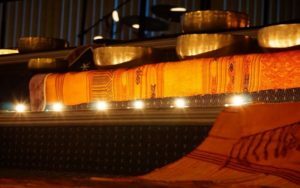 Come enjoy a unique musical experience called a "Sound Bath." According to sonic specialist, Monte Hansen, from Annapolis, MD, "A sound bath is an immersion in sound frequency that cleanses your soul." 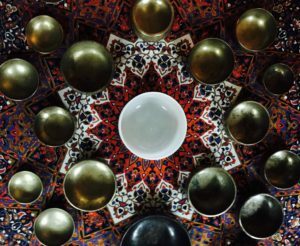 "The sound bath meditation is a welcome addition to my meditation practice. The unique sounds produced by the bowls helped me to have a deeper and more meaningful experience. The calming and welcoming presence of the hosts allowed me to feel very comfortable from the minute I walked through the doors. Thank you! "-Teresa A. According to sonic specialist, Monte Hansen, from Annapolis MD, "A sound bath is an immersion in sound frequency that cleanses your soul." So, whether you're looking for the next expansion in your meditative experience, or to just add a second opportunity per month to be with the bowls, this will be your chance to enhance. A unique experience of frequency that ebbs and flows using live recordings of whales and Tibetan singing bowls for a relaxing immersion in an ocean of sound. 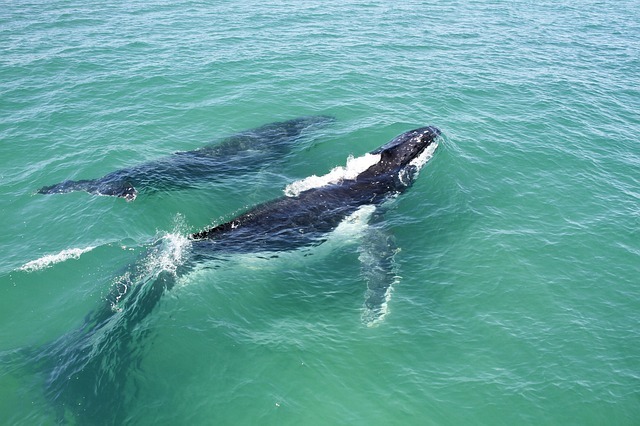 Come enjoy an extended journey for well over an hour of immersion with the Whales and Water Bowls. This meditation with the whales is not as challenging as some of our other "Deepening" offerings, so Newbies are welcome as long as they read the instructions for silence, being early, and the briefing listed below! This meditation is typically only open to people who have been to our 1st week of the month meditations, at least once. Why? Because there will be no pre-talk, debriefing, and preparation for newbies at this meditation. Please park at the Fairfax Church of Christ parking lot across the street. Questions? Email monte@crystalashram.com or visitcrystalashram.com. Text or Call 410-980-1324. 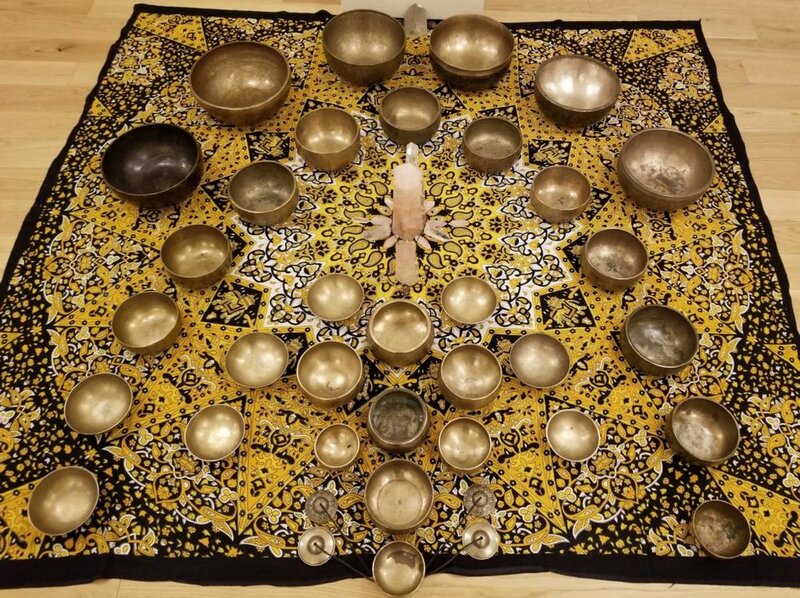 Human Activation sound frequency specialist, Robert Lee, will be playing several of these rare Singing Bowls, some of which are over 200 years old. Proceeds go to support the Crystal Ashram 501(c)(3) non-profit where the Human Activation School of Expanded Consciousness will be held. http://humanactivation.org/. Questions? Email robert@humanactivation.com. Text or call 410-980-1324. 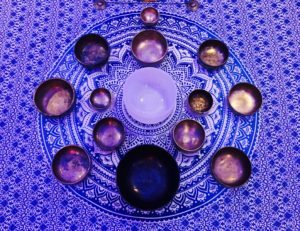 Come enjoy a unique musical experience called a "Sound Bath"
﻿According to sonic specialist, Monte Hansen, from the Crystal Ashram near Annapolis MD, "A sound bath is an immersion in sound frequency that cleanses your soul." Experience these gifts from the past in this NON-religious practice of our present. Come be rejuvenated, or just captivated, by this unique musical performance. 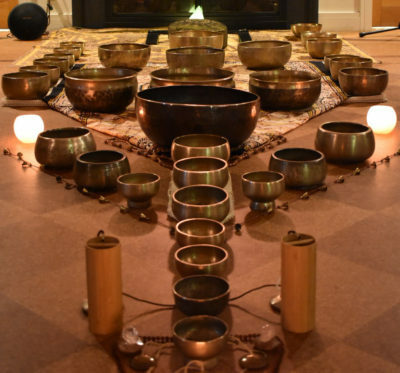 "The sound bath meditation is a welcome addition to my meditation practice. The unique sounds produced by the bowls helped me to have a deeper and more meaningful experience. The calming and welcoming presence of the hosts allowed me to feel very comfortable from the minute I walked through the doors. Thank you!" - Teresa A. Proceeds will help support the Crystal Ashram 501(c)(3) non-profit, where the Human Activation School of Expanded Consciousness will be held. All proceeds go to support the Crystal Ashram 501(c)(3) non-profit where the Human Activation School of Expanded Consciousness will be held. http://humnactivation.com/. As a matter of fact, modern Buddhists no longer use the bowls in their practice. Come experience these gifts from the past in this NON-religious practice of our present. Come be rejuvenated or just captivated by this unique musical performance. According to sonic specialist, Monte Hansen, from the Crystal Ashram near Annapolis MD, "A sound bath is an immersion in sound frequency that cleanses your soul." Please register at FierceOm's website. Walk-ins allowed. Please register at FierceOm's website. Please click this link to register. Bring your pillows, blankets, and yoga mats, and snuggle into the comfort of the tranquil sounds. Feel free to sit, lay, or even stand! Human Activation sound frequency specialist, Patrick Dimond, will be playing several of these rare Singing Bowls, some of which are over 200 years old. According to sonic specialist Monte Hansen from the Crystal Ashram near Annapolis MD, "A sound bath is an immersion in sound frequency that cleanses your soul." Bring your blankey instead for this super relaxing immersion! A magical alchemy of 7 -12 different metals ring in the past, present, and future for our relaxing enchantment. Bring your pillows, blankeys, and yoga mats, and snuggle into the comfort of the tranquil sounds. Feel free to sit, lay, or even stand!